Marlene Gotz announced the 49th annual Dia Del Sol event to benefit United Cerebral Palsy will be held at the Fairmont Grand Del Mar on October 10, 2018 from 10-1:30 PM. In particular, she seeks several members who can assist children affected by cerebral palsy who will be participating in the event’s fashion show. 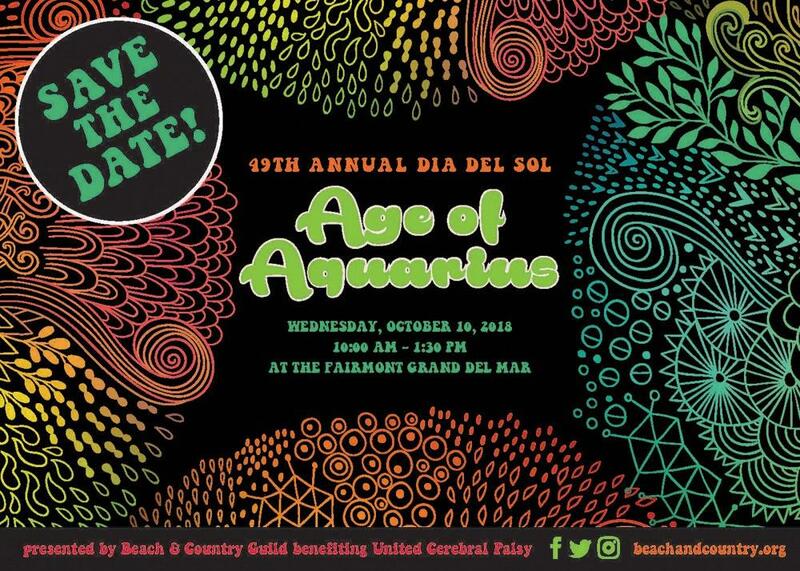 Dia Del Sol is hosted by members of the Beach & Country Guild, an all-volunteer organization of women that raises funds to support children and families in San Diego who have been affected by cerebral palsy. The guild donates up to $250,000 annually to United Cerebral Palsy of San Diego for the direct benefit of the San Diego community.